Have You Ever Wondered What To Use For The Right Business Tools To Grow Your Embroidery Business More Efficiently? The right tools to grow your embroidery business are very important in today’s world of business. It is very hard to get an embroidery business off the ground and into the profit mode without using the right embroidery business tools! Like any other business, without the right tools, it is impossible. Have you ever wondered if there was an easier way to wait on customers and a way to take less time doing it? Is your invoice created as soon as your job is completed? Do you ever wonder if you are really making any money in your business or not? You panic when someone comes into your shop because you have to spend the time to wait on them and you just need to keep working on the job at hand because your customer is picking it up today! When you are working with your customer and they are asking you for the price, you hem and haw because you really do not know what you should be charging them, and you come up with a figure out of your head that feels good at the time. You spend all of your time working in your business and you really don’t know if you are making any money or not. You don’t even know where to GET the right embroidery business tools that will help you with the business part of your business! I have been in that very same spot! I was a one-person business for a long time and I really did not like it when someone would come in and disturb my production. Don’t get me wrong, I loved it when people placed orders, but I did not like having to spend so much time with them because they really never knew what they wanted. I had to spend so much time trying to come up with ideas for them. That was not the fun part of the business at all and I did not know what to do to change that. I am sure that you can relate to that feeling of desperation. You know the customer is coming to pick up the job and you need every second of your time to get it done. Isn’t It Time For You To Get The Help You Need To Make Your Business Easier To Manage and Give You Peace of Mind? I show you easy steps to follow on your path to success! I have been in the embroidery world for 40 years and I go out to many embroidery businesses and help them get on the right track so they can increase their quality and make more money! Do You Find Yourself Still Struggling? When you have been in business for a while and you are still struggling, it only means that you have not had the right help or tools to get you set up correctly! It is time to change that! I do not want to see you struggling! It is not at all necessary and not worth it! You will love what I have to share with you! The Online Embroidery Business Training Program, Giving You The Right Embroidery Business Tools To Grow Your Business! These embroidery business tools are not only essential but when implemented will put you on the path to having a well-organized and profitable embroidery business! One that is going to help you have peace of mind and be able to sleep more soundly at night! What a great feeling it is when you are organized! You can wait on a customer very quickly when you have the right sales tools in place and you can confidently tell people what your pricing is without hemming and hawing around. It is also very exciting to be able to look at your detailed monthly reports, knowing without any doubt what is happening in every area of your business. This gives you the ability to make changes quickly when they are necessary for the growth of your business! The “Essential Tools For Embroidery Business Growth” Is The Business Program That Every Embroiderer Needs! I have taken my best online video embroidery business training programs and put them into one money-saving package for you, “Essential Necessary For Embroidery Business Growth” that is going to help you make all of this possible. 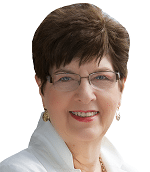 The tools inside of this package will help you build a good foundation for your business. Without these tools, it is hard to create the type of business that is going to give you the benefits that you are expecting from your business. These online tools are located inside of our Embroidery Training Center, The Embroidery Training Resource Center and available to you 24 hours a day, 7 days per week! How Are These Business Tools Going To Help You? I will give you samples of each one of my tools so you can see what mine look like and it will make it easier for you to create your own. How to give a customer an instant quote while they are waiting. No more lost sales because they had to wait too long or you had to get back to them. How to create a working schedule of your work so that you can stay on top of it and know when you can slide in an extra job! How to Set up your QuickBooks with the right accounts so you will know where which sales department is responsible for the most sales and which department you are spending the most money on. I give you spreadsheets so that you can import all of your information into QuickBooks instead of having to add each transaction at a time. I show you how to set up your pricing so that it is easy to import into Quickbooks. I give you all of the Business Forms that you will need to run your embroidery business. 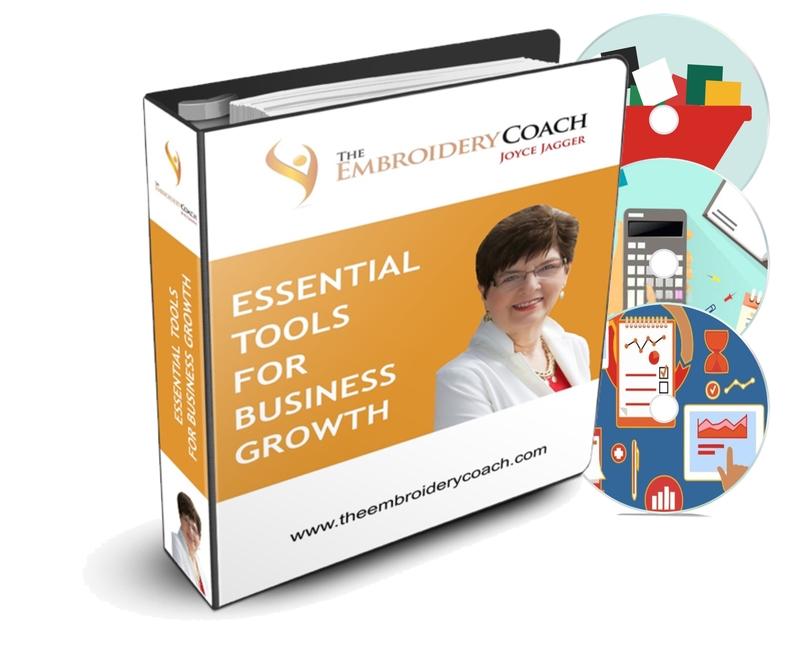 “Essential Tools For Embroidery Business Growth” Program! If you were to purchase each product separately it would cost you almost $700. I have created a special price for this package, “Essential Tools For Embroidery Business Growth package” That is 50% off the price that I normally sell each one of these products for! This is a must-have package for anyone that is not currently a Gold Plus Lifetime Member of The Embroidery Training Resource Center membership site. It takes all of the guesswork out of waiting on your customer! It saves both you and your customer a lot of time. You customer leaves very happy and you can then get back to your production! These are tools that are not only necessary but when implemented will put you on the path to having a well-organized and profitable embroidery business! One that is going to help you have peace of mind and be able to sleep more soundly at night! What a great feeling it is when you are organized! 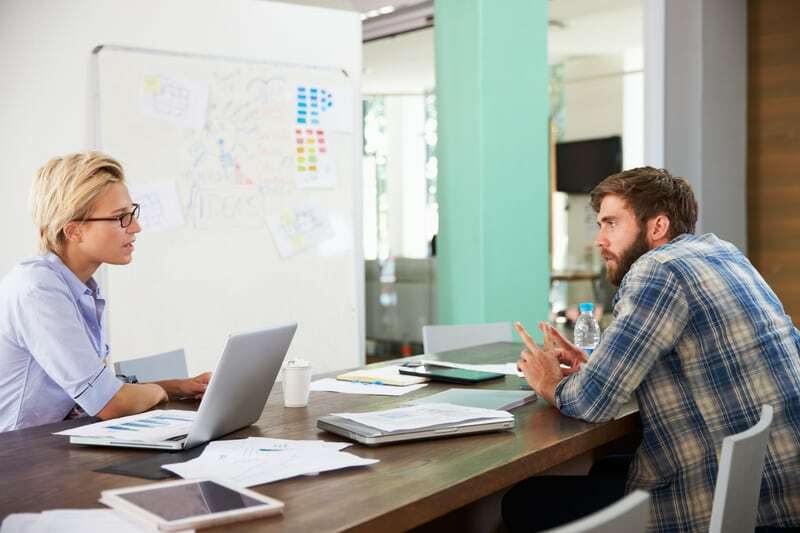 You can wait on a customer very quickly when you have the right sales tools in place and you can confidently tell people what your pricing is without hemming and hawing around. It is also very exciting to be able to look at your detailed monthly reports, knowing without any doubt what is happening in every area of your business. This gives you the ability to make changes quickly when they are necessary for the growth of your business! Help Me Get Started Today!